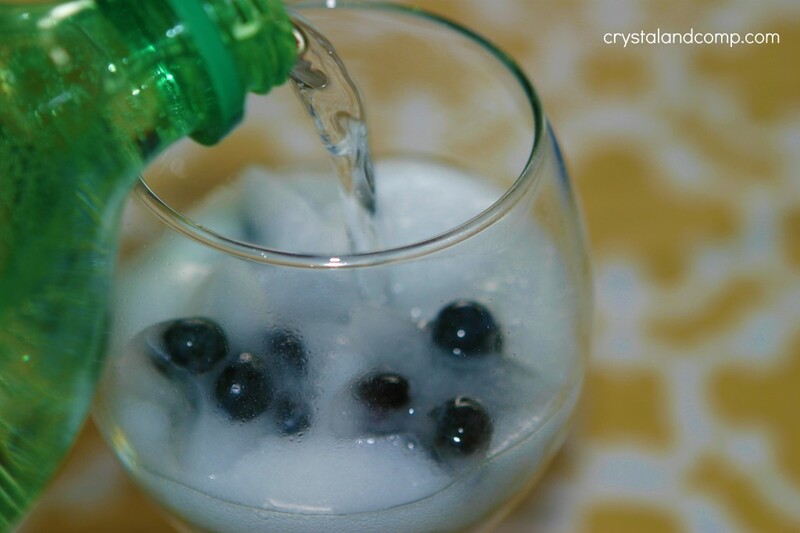 Looking for a fun and refreshing drink on a hot summer day like today? 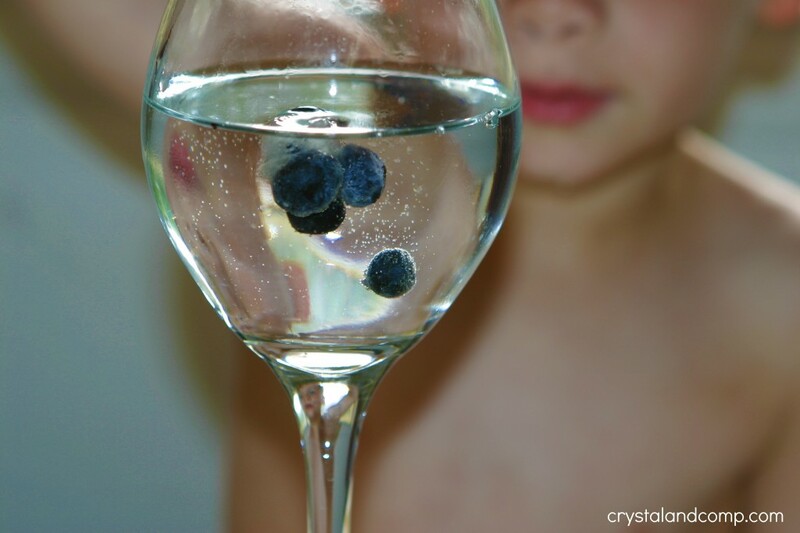 This is a fun fruit spritzer that your kids will have a blast helping you create. And if your kids are anything like mine, they will love the Science elements as well. 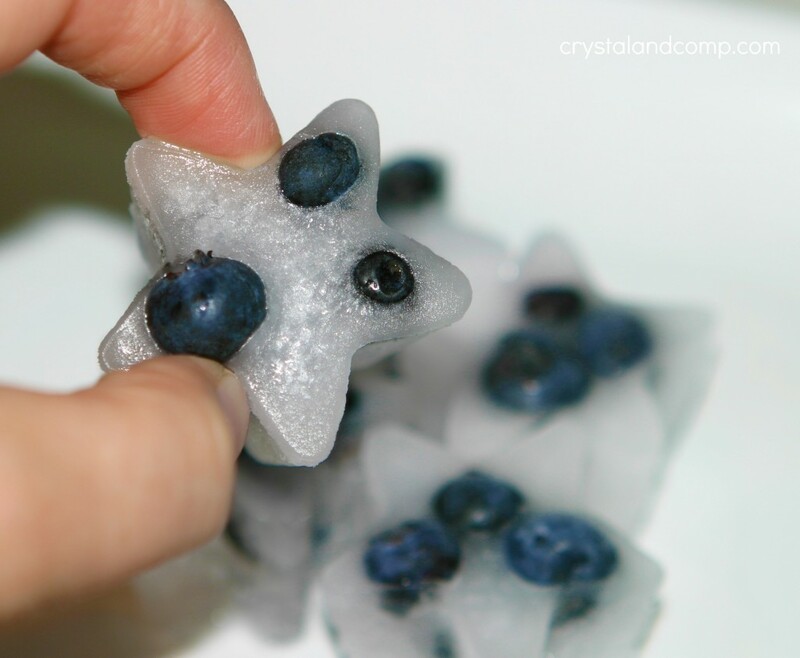 I grabbed these star-shaped ice cube trays at Walmart a while back. There were two in the package and I paid right at a dollar. 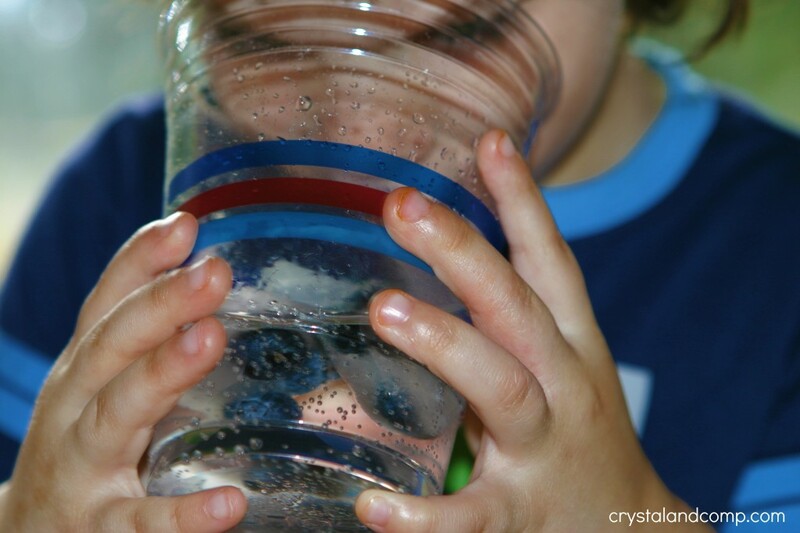 My kids love to freeze things… so I knew we could have lots of fun with these. 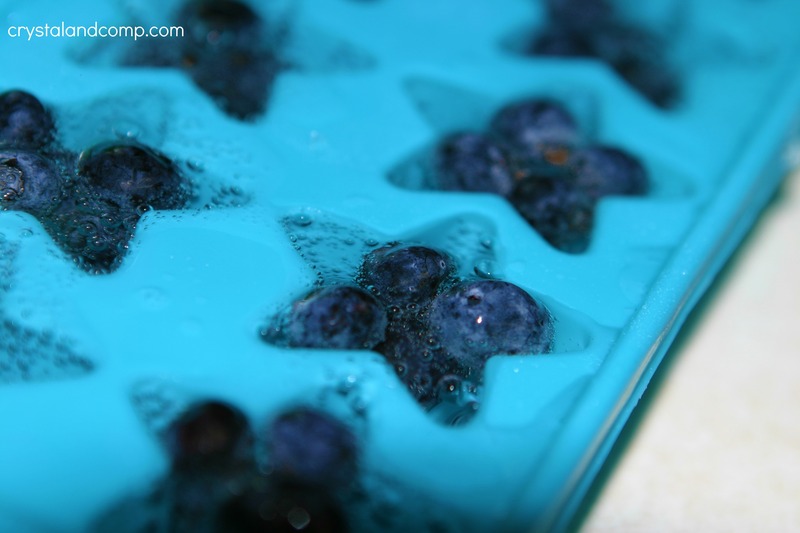 Take a pint of clean, fresh, blueberries (or your fruit of choice) and place 3-4 in each shape/compartment. 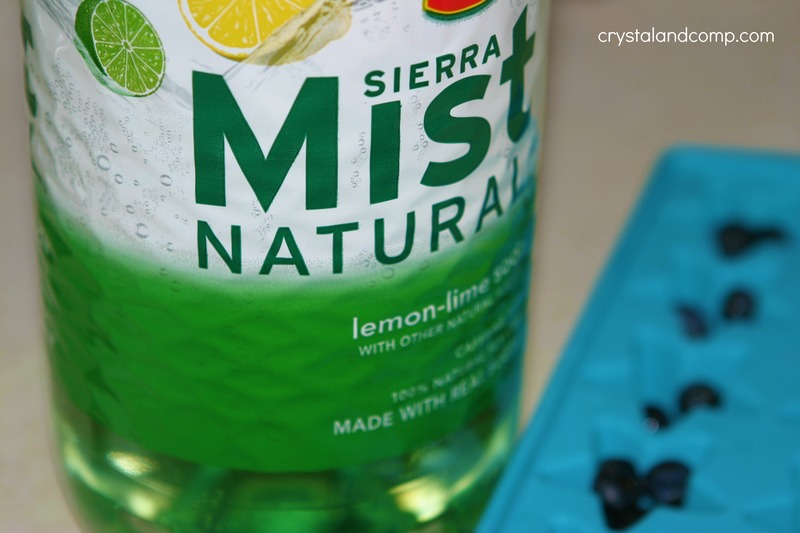 Fill each cube area with your favorite lemon-lime soda or Ginger Ale. Pop them in the freezer over night. When they are done they will look like this. This is absolutely fascinating to kids! 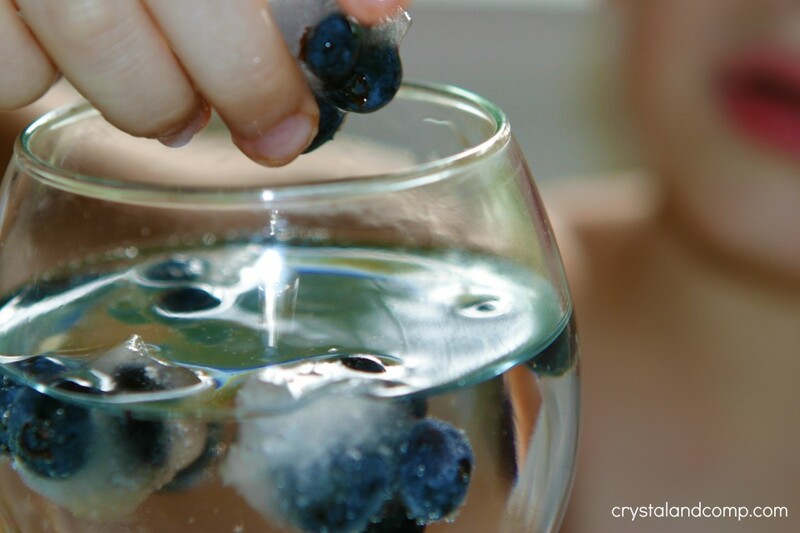 Fill a clear glass with the ice cubes. I wanted to use my water goblets, but they are all broken. Imagine that. So we prepared our spritzer in this fancy glass. Pour your lemon-lime drink over the fruity ice cubes. As the ice cubes start to melt the fruit will break free. You can talk about the Science associated with this fun creation. I let my boys play with their drink… they had a lot of fun. And watching the blueberries sink and then float was awesome and created lots of conversation. Once the cubes melted, the boys enjoyed their fruit filled drink. 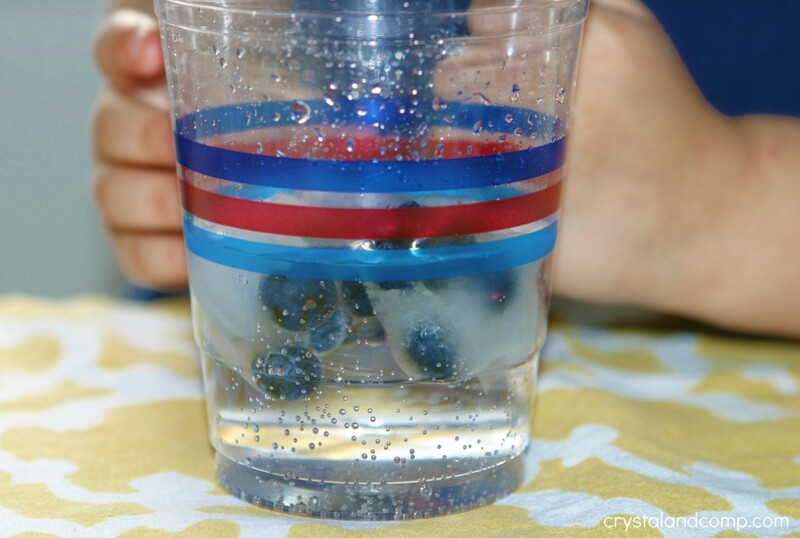 You can obviously also prepare this spritzer in clear disposable cups. These would be perfect for a kiddy birthday party drink as well. Love this idea!! I’ll be using it for my son’s birthday party coming up 🙂 Thank you! I know this isn’t the point of your post, but where did you get those plastic cups?? I’m using light blue, navy, and red to decorate for the party and those would be wonderful!! I loved those cups too. I think they are Solo brand. I bought them at Target back on May. You might still be able to find them on clearance. Glad this is an idea you can use! Very cool idea. I definitely want to try this out. I think my son would love it. Fun drink to prepare! Thanks! What an awesome idea! My kids would love this! I’d love to see this at my linky party, too! OneCreativeMommy.com. 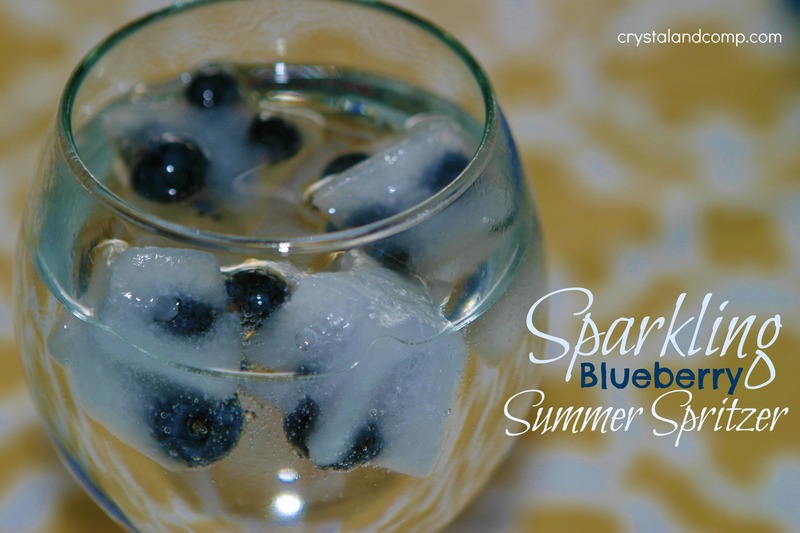 Love this summer spritzer! I especially love your star-shaped ice cubes with the frozen blueberries. Very creative! I saw these when I linked up at Made in a Day! GREAT idea! Thanks for sharing! That looks really nice! I can imagine some kind of punch with the fruits in the ice cubes. 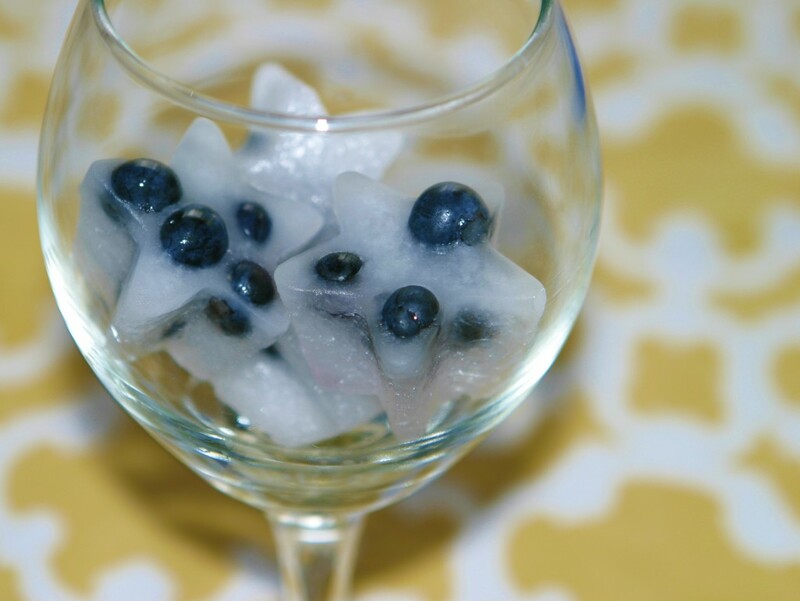 Nicole- punch would be a great way to showcase these yummy ice cubes. 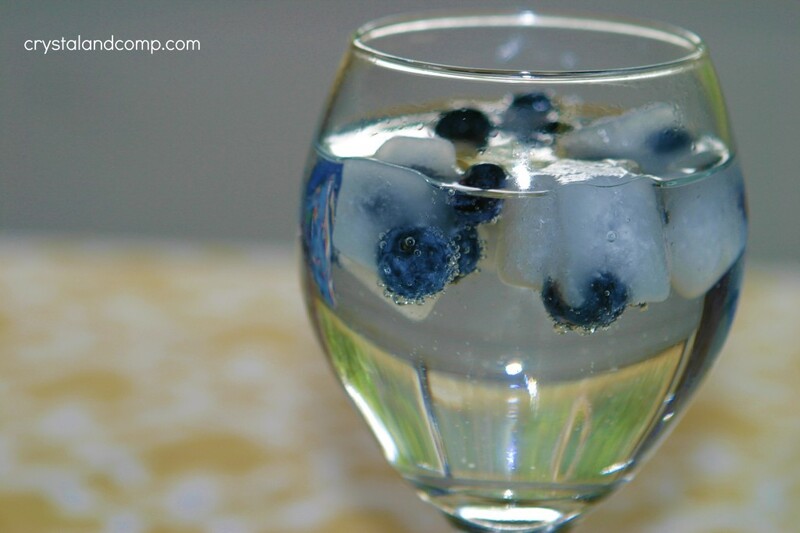 This is such a great idea and refreshing beverage. I am going to make this recipe for my guest this week end. Hope you have a great week end and thanks for sharing with Full Plate Thursday. My kids will get such a kick out this drink. Thanks for sharing it on foodie friday. Oooh this is a lovely idea. 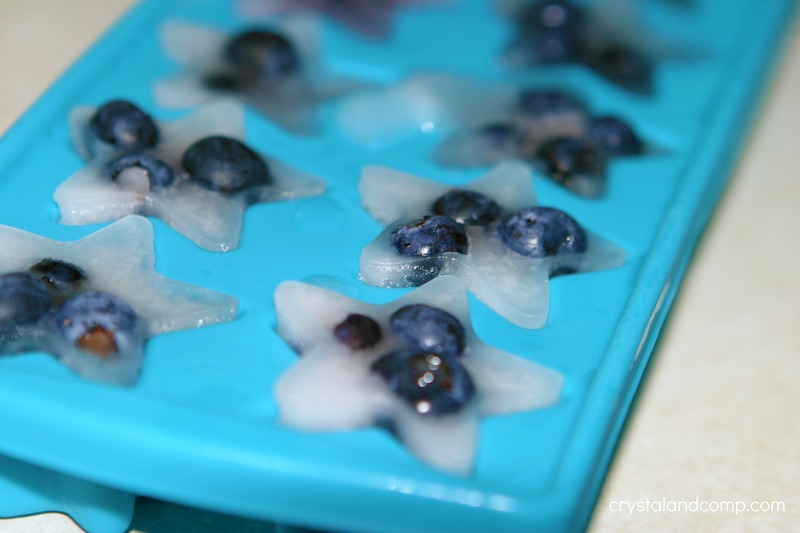 My girls love blueberries, what a great idea to put them in ice cubes. thanks for linking to Tasty Tuesday. I love this idea! So summery! How yummy!! thanks for linkin up! Lovely berry dish. Berries and currants are this week’s subject for Food on Friday. Would you be happy to link this in? We are looking to create a fantastic collection of berry dishes. This is the link . I found you in the Simple Living with Diane Balch party. 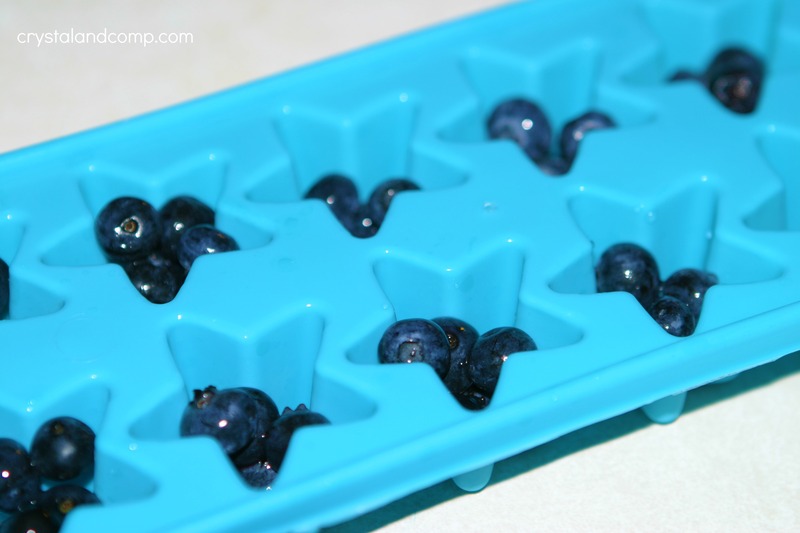 great idea, and perfect for this blueberry season!